Jamie Worden is the CEO and founder of Worden Capital Management, LLC. He is responsible for formulating the vision of Worden Capital and carrying out its execution. Mr. Worden set out with a unique vision to better service clients in the financial markets. In doing so, Mr. Worden now takes pride and enjoyment in helping clients achieve their financial goals. Attention to detail, good listening skills, and great empathy are qualities that help Mr. Worden work with clients. 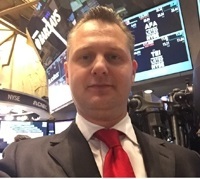 He has extensive experience in navigating the financial markets. Mr. Worden specializes in debt-focused strategies which can offer superior non-correlated returns. He is a General Securities Principal with a Series 7, 24, and 63 licenses.